Camp Ramah in the Berkshires is a Jewish educational summer camp. We were founded by men and women who believed that summer camp could be a place of fun, joy and serious engagement with Jewish texts, traditions and history. We carry that vision and mission today as well. We believe that Camp is an ideal setting to think deeply about what it means to be a Jew in the world in this time and this place. We believe that the values and voices of our tradition can and should be heard by our staff and our campers in innovative and exciting ways. 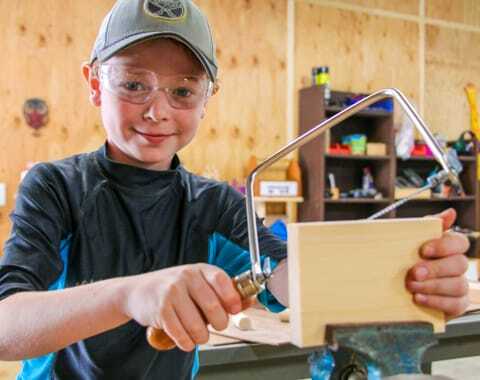 We do not aim to have school at Camp; we do aim to create innovative and compelling educational experiences for our campers. 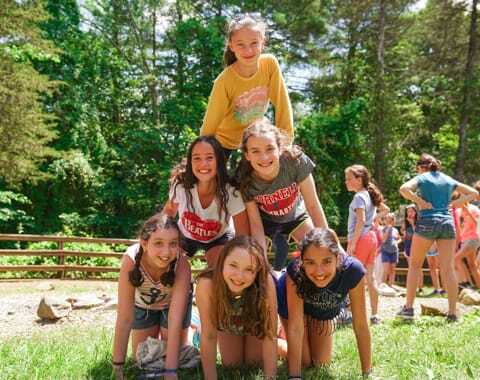 Jewish learning is a part of our camp program, and we are proud of the work we do in helping our camp community to interact with the broad sweep of the Jewish experience and tradition. As Rabbi Seymour Fox, one of the founders of the Ramah movement said, “The challenge of Ramah was to educate the entire child—including his or her mind. We wanted to pay equal attention to emotional and spiritual issues, and to the articulation of living out Jewish values.” We strive every day of every summer to meet that vitally important challenge. Among our educational priorities, Israel holds a special place. Each summer welcome more than forty Israeli staff members to Camp, and we infuse Israeli culture, music and food into our program wherever possible. They provide campers with a taste of Israel, exposure to Hebrew language, and an understanding of current events in the Middle East. We encourage our campers—especially our older campers—to engage in a serious and thoughtful way with Israeli, its people, its politics and its history. Our hope is that our focus on Israel as a modern Jewish state will inspire our campers to attend Ramah Israel Seminar between their junior and senior years of high school. That program serves as the capstone experience for a Ramah camper, providing a vital bridge between the years spent as a camper and the year (hopefully) spent on staff.